Details about Vintage Gilbert Microscope Set No. 2 Polaroid Jr. (Incomplete) SHIPS FREE! 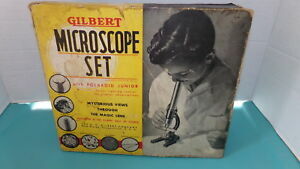 Vintage Gilbert Microscope Set No. 2 Polaroid Jr. (Incomplete) SHIPS FREE!